Straight-through cables get their name from how they are made. Out of the 8 pins that exist on both ends of an Ethernet cable, each pin connects to the same pin on the opposite side.... Use a Category 3 UTP straight-through cable when connecting to a PC or other Ethernet device. Use a Category 5 UTP crossover cable when connecting 100Base-TX to a hub. 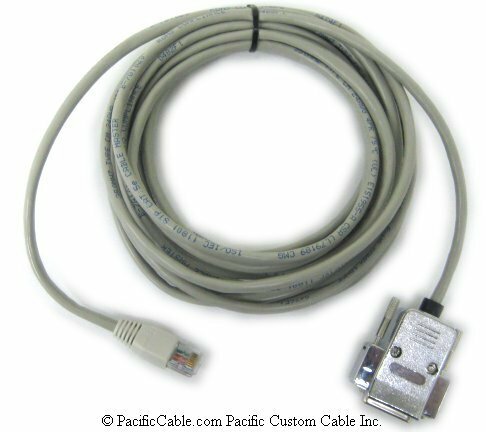 Use a Category 5 UTP straight-through cable when connecting to a PC or other Ethernet device. The blue cables I'm quite sure are supposed to be straight through cables (but please correct if I'm wrong). 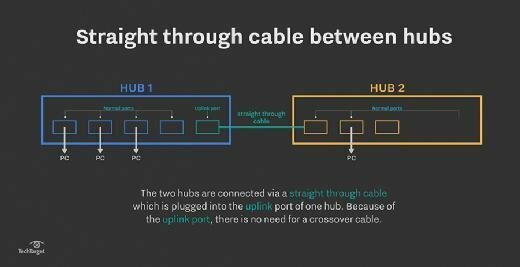 Also what if I were to swap out any of the hubs for switches, would that change whether I should be using crossover vs. straight through cabling anywhere?